The humble beginnings of peer review alternatives: Stevan Hanard and Open Peer Commentary | What Has Science Done? I originally wrote this article for ScienceMediaWatch, a blog that focussed on, among other things, the shortcomings of peer review. I thought it important to take a step back and explore the roots of the peer review model. Dr. Steven Harnard recently got back to me with some suggested readings that add new depth to the history of peer review. So much depth in fact, that I thought it warranted the article to be posted here on WHSD – along with the suggested material…..
As Anka discussed in a previous post, the web project Philica tries to solve the problems of peer review in academic journals by publishing the papers under an open access licence, to enable all registered academics in the project to review and comment on the papers (Open Peer Commentary). This project started in 2006, but a long time before that, the first pioneers in alternative review systems made their suggestions for a different approach to scientific quality control. One of those review pioneers is Dr Stevan Harnard, who currently works at the School of Electronics and Computer Science at the University of Southampton. His starting point was that unlike novelists for example, scientists and scholars should not have to wish to protect their material from other people making copies from it (copyright them), a point which Professor Peter Suber reemphasised in a recent interview. Whereas novelists need this mechanism to be able to sell their books and make their living out of it, for a scientists the benefits come not from selling copies, but firstly from the scientific impact his or her paper has. In order to increase this impact, the first step would be to make the paper as widely available as possible. Although he published his ideas at a time where a lot of scientists were still sceptical about the internet, Dr Harnard soon recognised the big potential that the web offers for scientific publishing. It would make it possible to make papers available for everyone in just a few seconds, without having to contact the author before or even walking to a university library. One particular problem of peer review Dr. Harnard wanted to target was the huge influence of the editors in chief of most peer reviewed journals, who usually pick the reviewers for the single submissions. As I discussed in my previous post -this is a potential source of bias, since there is not only the potential for reviewers to bring their opinion to their reviewing, but also any underlying feuds or cliques. Also, if the editor in chief picks reviewers who don’t have enough expertise in this particular field of research, especially if it is a very small one, a lack of understanding of the research could lead to a unjustifiable rejection of the paper. In an open review process online, these problems could be avoided. It was not long before the jump to OA was made. 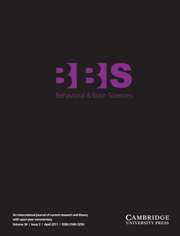 In 1989 Harnad founded the online counterpart to BBS, a peer-reviewed Open Peer Commentary journal called Psycoloquy – the very first OA journal. This entry was posted in Other and tagged business, peer review, science. Bookmark the permalink.